Last week was bittersweet as two of our staffers set sail from the JibJab offices to work for us remotely in locations outside of Venice, CA. 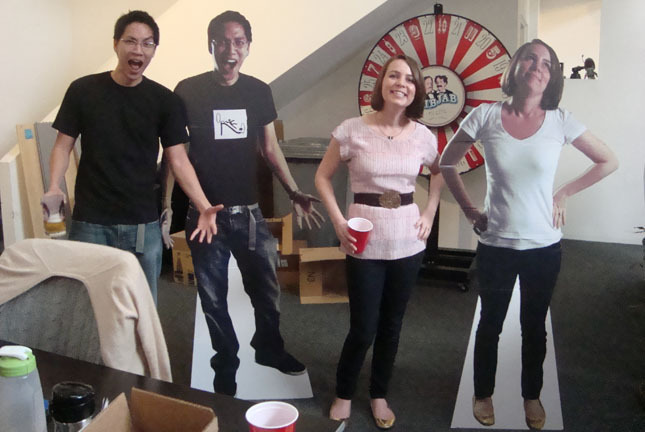 We were sad to not have Johan and Amanda’s smiling faces around the office, so a few weeks ago we tricked them into posing for some full body photos and quickly had these cardboard cut outs made without them knowing. 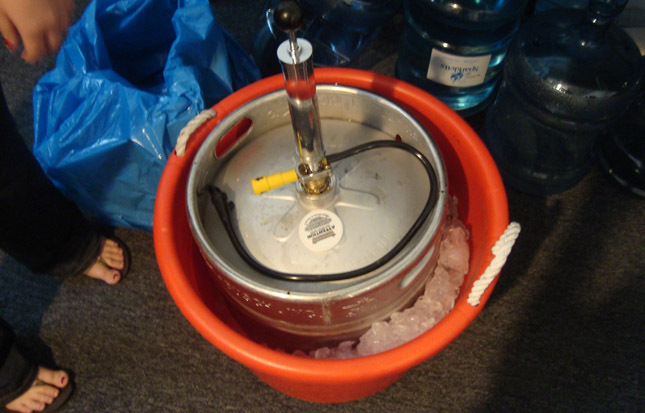 Afterwards, we drowned our sorrows with a keg. Thanks Johan and Amanda! This entry was written by paulhanges and posted on April 5, 2010 at 7:06 pm and filed under Inside JibJab. Bookmark the permalink. Follow any comments here with the RSS feed for this post. Trackbacks are closed, but you can post a comment. The best part was that I had no clue that the photo shoot was a farce. Tricky!